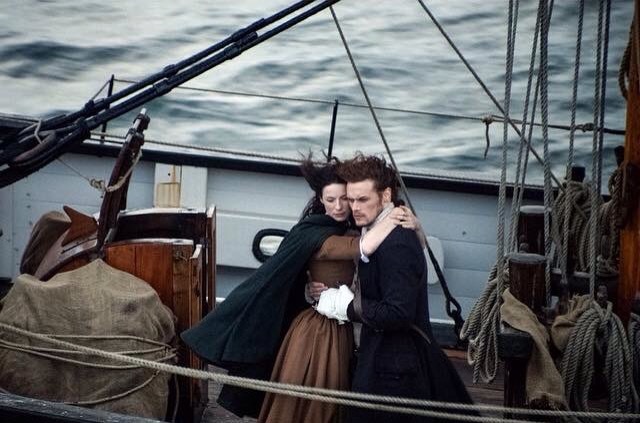 Saturday night’s Outlander finale went where television has never gone before. And in the process stirred up quite an interesting conversation about sexual violence. 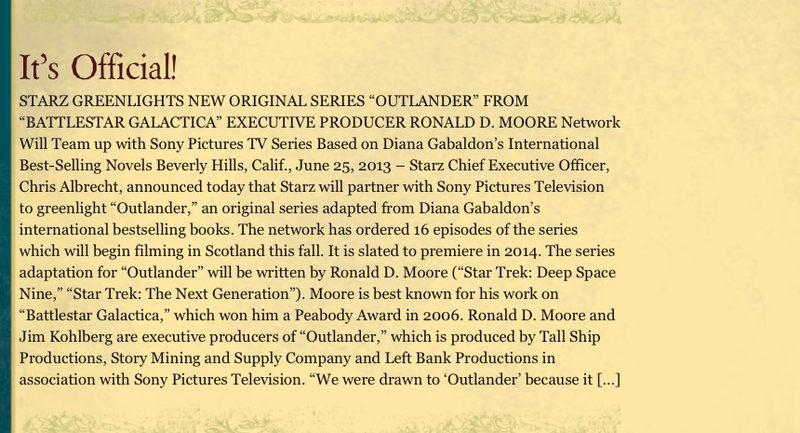 But Ronald D. Moore wasn’t the one who created the story, it was author Diana Gabaldon back in 1991. 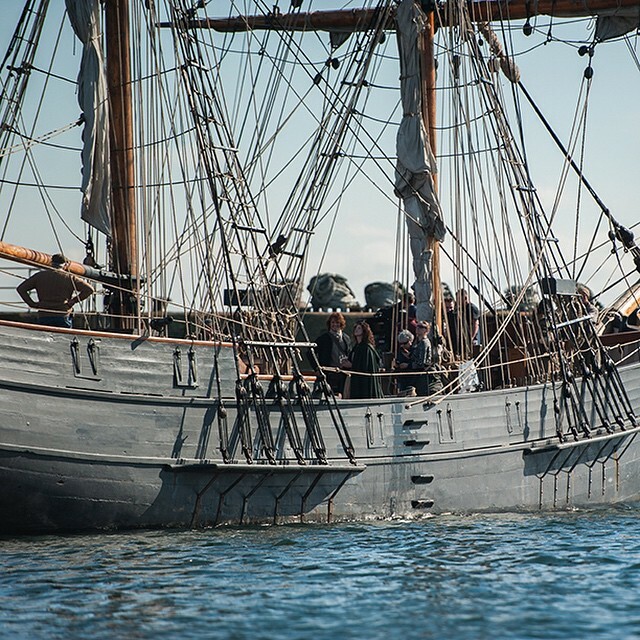 As Claire and her Jamie sail across the sea to Season 2, I thought it might be nice to take a look at how they got on the boat, figuratively speaking. That sweeping shot of them crossing the sea to influence The Bonnie Prince and save the Scots was a fitting end to a journey that started quite a while ago. Some of us fans were there from the beginning. We were witness to the first steps taken in this epic adventure. Outlander was taken to the “stage” and we were all “players” more than willing to play our part in bringing this production to life. 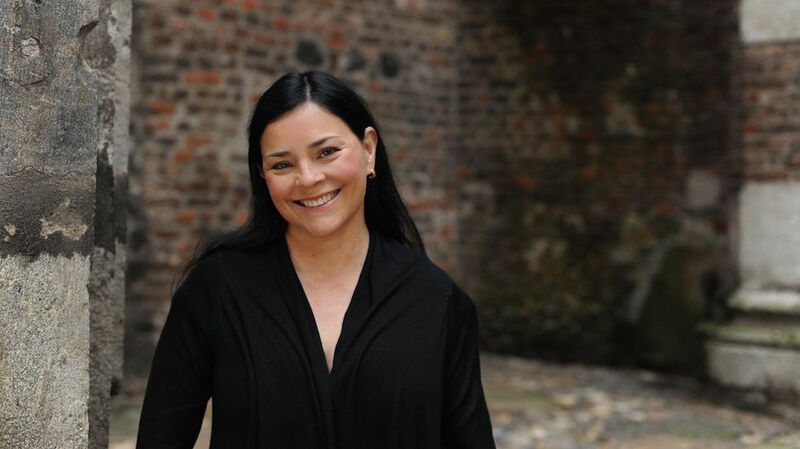 THE BEGINNING: As fans of Diana Gabaldon’s Outlander series, we were weary of waiting to see our beloved story told on a screen. It just didn’t seem like it was going to happen. We all understood. These were BIG books and a big story. 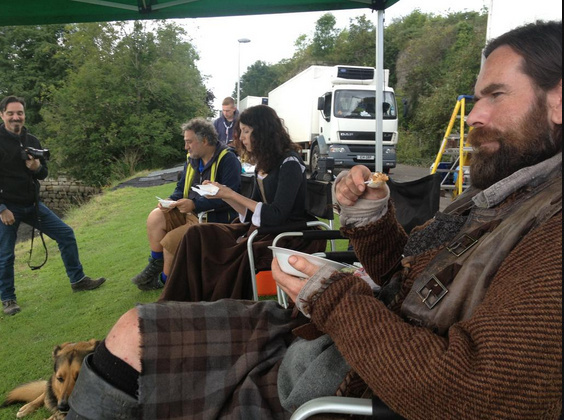 As Diana has often said, ” a lot of really talented” people had tried to make a two-hour movie script for Outlander and failed. And, even though we really wanted to see our beloved characters in the flesh, many of us were relieved no one had succeeded in chopping our book down to fit a two-hour movie. (excuse me while I shudder at the mere thought that it really could have happened). Then…I was visiting Diana’s website one day when I saw this!